Are you in the mood to enjoy some real online casino action but not sure which casino to choose? Sometimes it’s a bit hard to find the casinos that have the best wagering requirements. Below is a quick guide to some of the casinos that actually offer the lowest bonus wagering/play-through requirements. Check out the casinos below and enjoy a great online casino experience with the best bonus deals available! 20 No Deposit Casino Spins on Starburst at Dunder Casino! Join Dunder Casino and get 20 no deposit casino spins to play on the absolute favourite Netent game Starburst! Winnings from the free spins must be wagered 25 times prior of cashing out. 1st deposit: Enjoy a massive 100% match bonus up to £/€50 + 180 free spins on the Starburst slot. Your 180 free spins will be given in batches of 20 free spins per day for 9 days following your deposit. 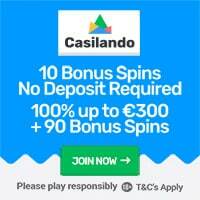 2nd deposit: Your second deposit will be match by 50% up to £/€100. 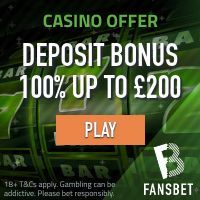 If you deposit £/€200 you will get a £/€300 casino balance to play with! 3rd deposit: When you make your third deposit you will receive a whopping match bonus of 25% up to £/€150! 4th deposit: Your fourth deposit will get you a gigantic bonus of 25% up to £/€300! All four deposit bonuses in this welcome package are subject a 25 times wagering requirement which makes it one of the most player-friendly bonus packages available. 10 No Deposit Bonus Spins – No Wagering Requirements! Bag all the winnings from the complimentary welcome offer at BGO. That’s right winnings from the bonus spins do not require any wagering and are credited in real cash!The casino spin can be played on one of the following Netent video slots: Starburst, Finn and the Swirly Spin, The Legend of Shangri-La: Cluster Pays, and Aloha! Cluster Pays. Get 100 Bonus Spins when making your first deposit at BGO casino! Winnings from the casino spins are credited in real cash! Players can choose to play the casino spins on one of the following Netent slots: Starburst, Finn and the Swirly Spin, The Legend of Shangri-La: Cluster Pays, and Aloha! Cluster Pays. Click here to claim the casino bonus spins – No wagering requirements! 777 Casino: 77 No Deposit Free Spins on sign up and £/€1,500 Welcome Bonus Package! 777 Casino offer some of the best bonus wagering requirements in comparison to the industry average. This top ranking casino brand have a standard wagering requirement of only x30 which makes them a good choice for players that quickly wants to wager their bonus. 777 Casino is licensed and regulated in almost every online casino jurisdiction available, including EU and the UK. New players will get 77 free spins directly upon a successful account registration. Winnings from the free spins are subject to x30 play-through before you can cashout. You can also enjoy a welcome bonus package worth £/€1,500 with the same wagering requirement. Click here and join 777 Casino with 77 Free Spins – No Deposit Required! Mobilebet: Get 20 Spins in Gonzo’s Quest for Free on sign up + Welcome Bonus Package! Mobilebet have an amazing collection of video slots which includes the most popular titles from NetEnt, Yggdrasil, Microgaming, Playtech, Play’n Go and many more. They also offer a x35 wagering requirement across most of their bonuses such as the UK welcome bonus package where players will get 100% up to £100 on their first three deposits. Mobilebet are licensed by the UK Gambling Commission and the Malta Gaming Authority. Sign up at Mobilebet today and get 20 Free Spins in Gonzo’s Quest – No Deposit Needed! CLICK HERE FUR THE FULL LIST OF THE BEST CASINOS WITH THE LOWEST BONUS WAGERING REQUIREMENTS! « Massive Casino Welcome Bonuses Available NOW!